If you are looking for real and demanding challenges in professional life, we invite you to familiarise yourself with the offers below. In this part, there are offers related to office work, individual customer service and wholesales. We are looking for committed and energetic people who will join our team of specialists. 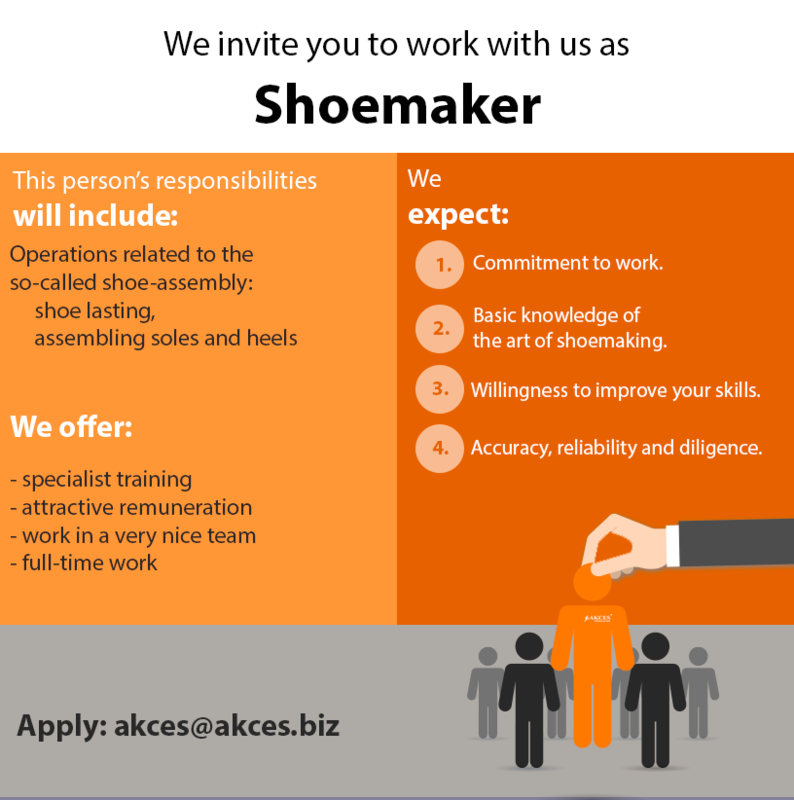 The continual development of the Akces brand and gaining new markets requires constant expansion of the team of people working with the manufacture of footwear. We are looking for both qualified people – ready to start work straightaway and people with aptitudes and manual skills, who will be thoroughly trained in order to join our company. 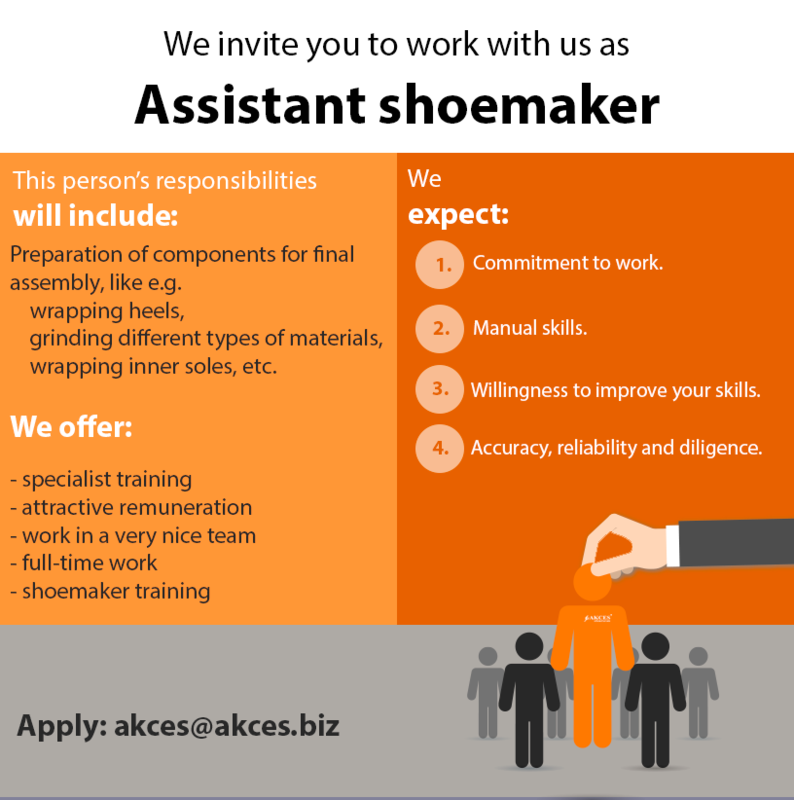 Please send your application by email to akces@akces.biz or deliver personally to the address: ul. Gościnna 8a, Kraków. The application should include the following statement: I hereby give my consent to the processing of my personal data contained in my application for recruitment purposes (pursuant to the Personal Data Protection Act of 29th August, 1997, consolidated text: Dz. U. [Journal of Laws] of 2002 No. 101, item 926 as amended). The Akces brand also includes a network of brand shops across Poland. Our priority is to employ professional and competent customer advisors to make sure each customer will spend a good time in the shop and choose appropriate footwear. Work at Akces boutiques ensures self-development and lack of monotony. If you like working with people and gaining new experience the offers below are for you. 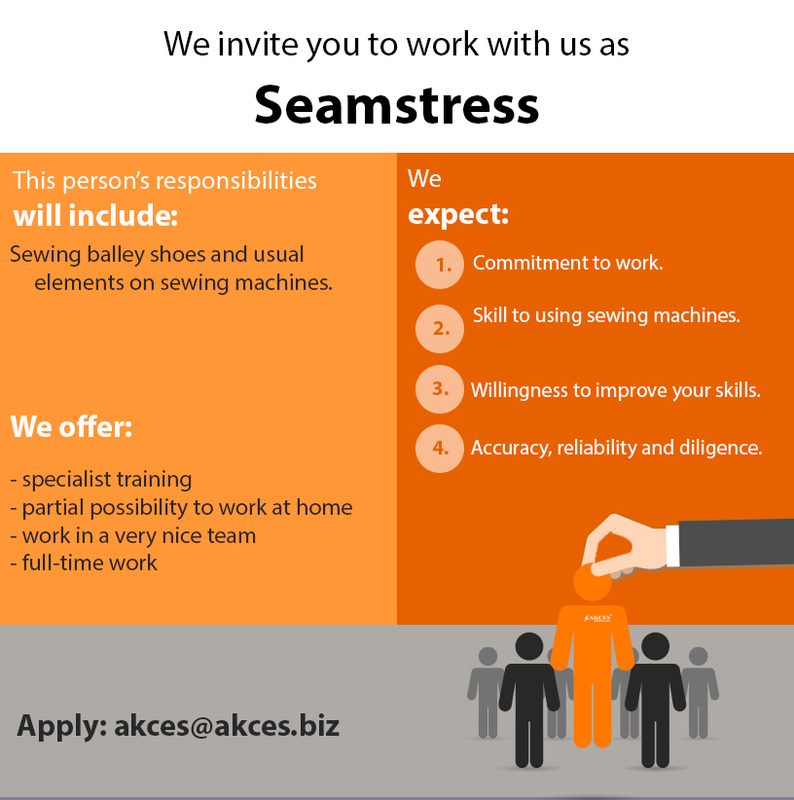 The Akces brand to a large extend supports the development of people entering the labour market. We offer paid internship programmes and opportunities for apprenticeship trainings during which you will gain extensive experience. We are very happy to employ people who have completed internship at our company.